September saw the opening of two displays at the National Portrait Gallery whose subjects are famous public figures. ‘Jonathan Yeo Portraits’ is the gallery’s first exhibition of the artist’s work, and includes previously unseen paintings as well as more well-known portraits, such as those of the 2001 general election party leaders. ‘Michael Peto Photographs: Mandela to McCartney’ shows 10 of the photojournalist’s images of political and cultural personalities from the 1950s and 1960s. Yeo’s portraits are concerned with the materiality of images – both the physicality of a painting and the external objects that form reputations. 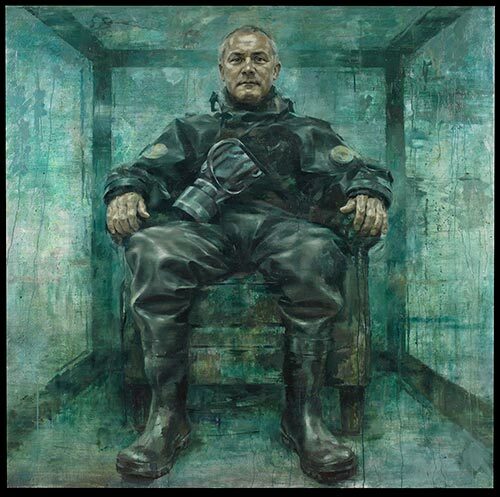 The display’s first room shows subjects in symbolic settings, through which they are popularly identified: Kevin Spacey crowned as Richard III, Damien Hirst in the chemical dry suit he wears when using formaldehyde. But Yeo makes his sitters look ridiculous, big kids dressed up in over- or under-sized costumes. 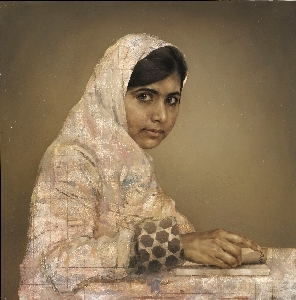 Even in the ostensibly more serious portrait of Malala Yousafzai, the educational campaigner appears uncomfortable in her dress. The next room shows faces only. While these portraits seem to offer a more intimate, honest encounter with the sitters, they undermine emotional engagement by leaving their structural drawing grids un-expunged. The closer you get the more empty the faces become. 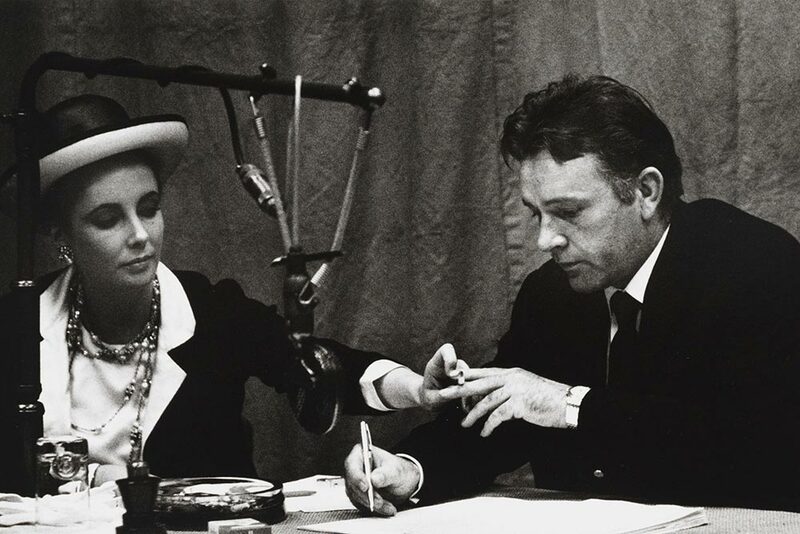 The first museum display of Peto’s photographs is very small, and the portraits might be mistaken for being purely documentary (Peto began taking photographs to accompany his political and cultural journalism). As such the picture of a worried-looking Nelson Mandela seems interesting only because it was taken two months before his arrest in August 1962. The 1961 portrait of a fierce Samuel Beckett seems to convey little – except, perhaps, anger at the critics of Happy Days? When you compare Peto’s photographs, however, a subtle theme develops. All his figures occupy space as if it is unfamiliar to them: Beckett half-sits on his sparse desk, the Beatles members are strangely out of tune with the 18th-century portraits above their heads. At the same time, objects are integral to the images. The photograph of Iris Murdoch would be bland were she not deftly extracting a cigarette from its packet. A solitary Ian McKellen presents the viewer with a tea set (mysteriously for two) as if product-placing. In this respect, the picture of Rudolf Nureyev and Margot Fonteyn is not just a record of their performance, but the presentation of each as the other’s necessary photographic (and, of course, balletic) prop. While Yeo’s celebrities are partly made up of their immediate physical surroundings, Peto’s subjects are inseparable from theirs. In these two displays the National Portrait Gallery barely comments on the artists’ themes, styles and methods. It does well to be laconic: Yeo’s and Peto’s approaches to ‘celebrity’ speak fluently and brilliantly for themselves. ‘Jonathan Yeo Portraits’ and ‘Michael Peto Photographs: Mandela to McCartney’ are on at the National Portrait Gallery until 5 January and 1 June 2014 respectively.